With the NHL Trade Deadline looming in less than a month, speculation and excessive trade rumours are just about to explode in the hockey world and all over social media. Most of those trade rumours will be downright ludicrous. Every year, some speculated trade gets spread all over social media and people begin to believe the rumours. However, today, we’re going to look at 5 of the most realistic predictions to occur before the Trade Deadline at 3:00 PM EST on March 2nd. At this point of the year, most of the sellers in the league have already made it known that they will be looking to retool their roster. At the trade deadline, this usually means the last 5-7 placed teams in the league standings. Some of those teams have already let the league know that they have some premier players available. So, what can you expect to see go down on the big day? Something very close to the following five predictions. The lowly Buffalo Sabres will likely be holding the dead last position in the league come March 2nd, for the second consecutive year. Last year, they dealt away Steve Ott and franchise goaltender, Ryan Miller, to St. Louis before the deadline. They also traded Matt Moulson, Jaroslav Halak and upgarded some prospects. This year, they seem to have a little less to offer. The Sabres are sure to be contacted about the likes of Drew Stafford, Matt Moulson and perhaps even Cody Hodgson. But, the players they will end up parting with will be Chris Stewart and Tyler Myers. Stewart is a big body power forward who could be a useful asset in the playoffs. While Myers and Buffalo haven’t exactly gelled since his Calder Trophy winning rookie season. The 6’8 defender isn’t as horrible as he may seem while playing in Buffalo. A new environment and coaching style could jumpstart the 25 year old’s career. Carolina was beginning to look like a contender when they acquired Jordan Staal at the 2012 NHL Draft, but injuries and underachievers put that possibility to rest. The Hurricanes now appear to be in the midst of a quick rebuild. Teams may look to acquire the odd-man out, Alex Semin, and perhaps even Jordan Staal, but the Canes likely will not get what they want for those players. 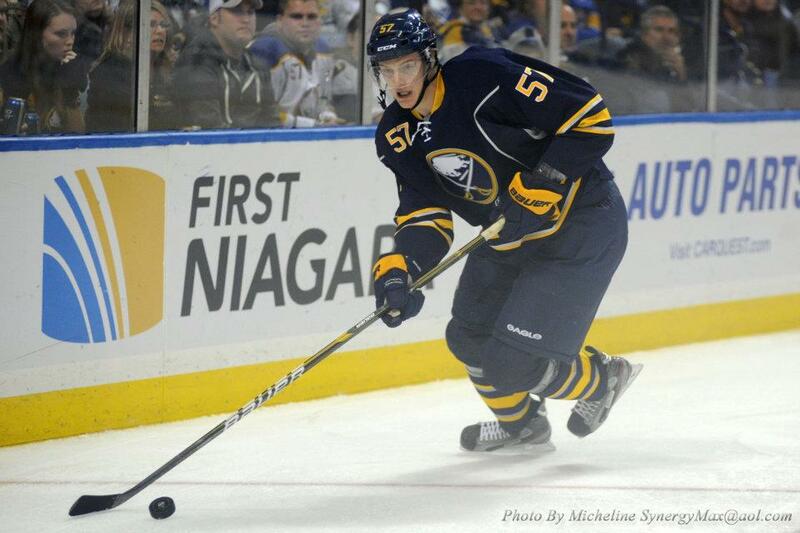 However, two other stars will be dealt named, Andrej Sekera and Jeff Skinner. Sekera, who compiled a 44 point season last year, is a solid defender who could be the depth multiple teams are looking for. While Skinner, who’s having a down year, has scored 30 goals twice in his five year career. It would be a blockbuster, but if a more offensive team could get the 22 year old winger, he could become a sure 30 goal scorer for plenty of years to come. 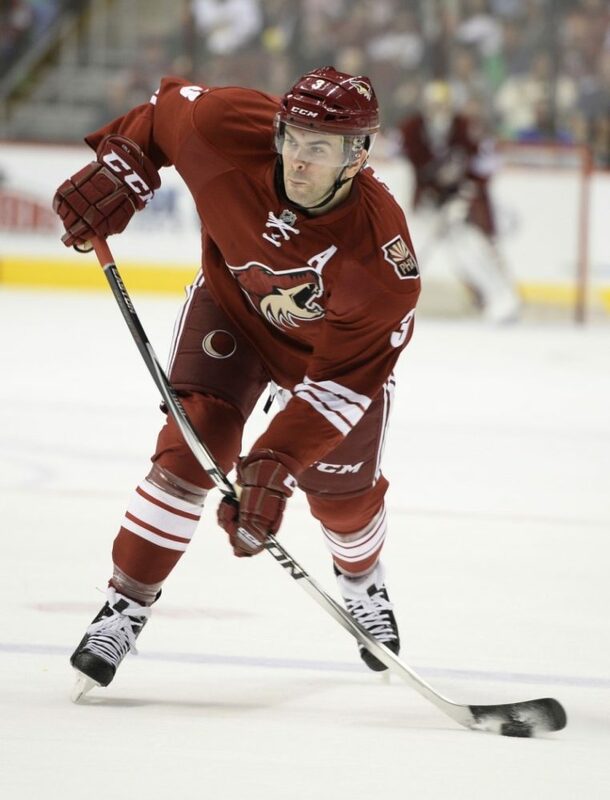 Arizona, who was expected to be a playoff contender before the season began, currently holds the 3rd overall pick in the 2015 NHL Draft. They’ve been horrible all year and Don Maloney is ready to take action. He recently told media that the only untouchable on the team is captain, Shane Doan. That leaves guys like Sam Gagner, Martin Hanzel and even Oliver Edman-Larsson available. But, I see Maloney asking for far too much for those players which will shoots down possibilities. However, Antoine Vermette and Keith Yandle seem almost certain to be traded. Vermette may not bring in great return as a UFA, but regardless, he’s sure to be dealt. Meanwhile, Keith Yandle will likely be what improves Arizona’s future. Rumours had been swirling of a Yandle for O’Reilly trade, but that’s quieted down lately. Arizona will surely be one of the most interesting teams to watch near the Trade Deadline. With the Toronto Maple Leafs bowing out in the second half of the season for the second year in a row, multiple players are very much available. Of course, in the Toronto media, rumours begin to swirl of Kessel and Phaneuf trades, but those are simply too complicated to get done before the deadline. However, UFA’s Mike Santorelli and Cody Franson look almost certain to be gone by March 2nd. Franson, likely the Leafs best all around defenceman, has been unable to get anything going in contract negotiations so far. Also, Jake Gardiner could very well be out of Toronto. The 24 year old is a young, offensive, puck moving defenceman. He is sometimes prone to turning over the puck though, which had been his downfall with previous coach, Randy Carlyle. Gardiner could certainly garner some attention by a ton of teams, but the Leafs would likely want a fair bit in return. The Edmonton Oilers are well on their way to having a top-10 draft pick for the 7th straight year. In what seems like the longest and most unsuccessful rebuild in NHL history, the Oilers are almost certain to draft either Connor McDavid or Jack Eichel in June. At last year’s Trade Deadline, Edmonton let go of Bryzgalov, Hemsky and Schultz, while they acquired Fasth and draft picks. They will likely be very busy again this year. With rumours of a possible Taylor Hall trade gathering attention, it appears nearly everyone could be available, if the price is right. Realistically, Edmonton could very well trade away one of their once budding superstars come March 2nd. While Jeff Petry, a pending UFA, is all but gone already, there are many more possibilities as well. Teddy Purcell, who was acquired from Tampa Bay for Sam Gagner, could easily be dealt. Meanwhile, Jordan Eberle could be a hot topic among 20 or so teams. The Oilers would likely want a first round pick and a developed Top 6 forward in return. The possibilities seem almost endless for Edmonton at the Trade Deadline, so here’s hoping they pull the trigger on a blockbuster. In no way at all am I guaranteeing all the above trades. What I will guarantee though, is that each of the listed teams will be among the most active on Trade Deadline Day. Each of the teams will make at least one trade for sure. For the sake of entertainment, let’s hope there are some blockbusters. Who do you think will be traded for sure before the Trade Deadline? Discuss i the comments!